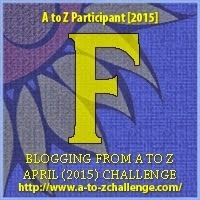 David Powers King: The WOVEN A to Z Challenge: F is for Fargut! The WOVEN A to Z Challenge: F is for Fargut! 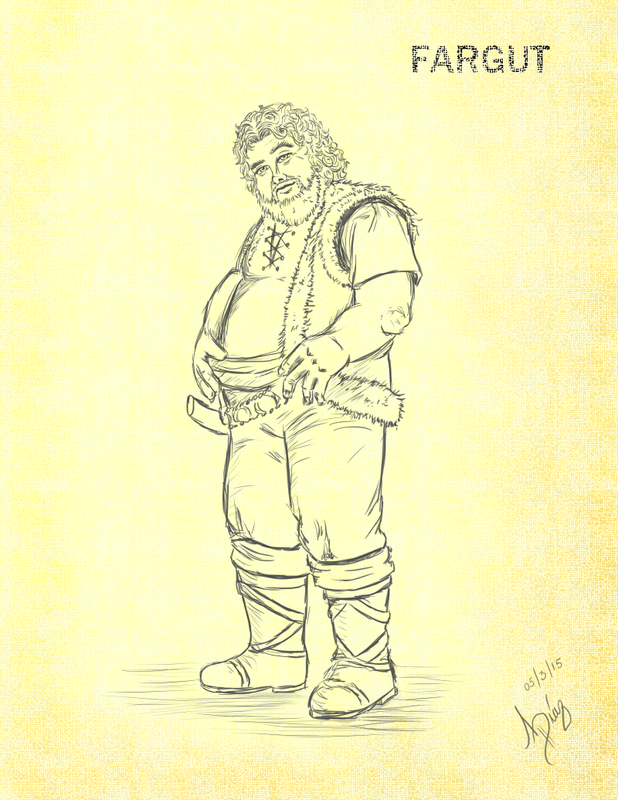 A mountain man who travels the land, Fargut is always on the lookout for a trade and a hearty meal. He is burly and sports an unkempt beard and brown hair, and he has azure eyes. Few have ever made his acquaintance since he likes to scavenge trading goods in the haunted City of Westmine. He takes pride in his gluttony and is rumored to be an eccentric. I'm David, and "what I'd give'n for fancy Fabricate'n kit." He was a friendly sot, though! I see a hint of dwarf in the drawing. Sounds like a definite eccentric to me :) A rugged individualist. I take pride in my gluttony, too!!! However, I will not be found in haunted cities. I think I dated this guy once. Oh DPK, he was a funny one. I'm going to have to do a re-read soon. I miss them. I still can't get over how stunning these illustrations are. Go. Dragon. I think he needs a belt. ;) Seeing all of your characters is neat, David. Seems like a pleasant enough chap though. Give him a burger and I bet he talks your ear off! The Fargut name fits him if he likes to eat. That's a very appropriate name! He sounds like a great guy, brave enough to scavenge in a haunted city. I have my copy ready to go for lunchtime at work! Can't wait to meet Fargut and all the others! Aptly named, that Fargut. He was an interesting character in Woven. As soon as I saw the word Fargot I had a pretty good idea what to expect and I was real close. Well done. He sounds like what we would call a "character"! Yes, I too have got to do a reread. I am loving this blog with the drawings by my favourite dragon. I have to say, he totally looks like a Fargut. I bet he's a good friend to have, though. He does look like someone who enjoys the finer things in life. Ie food! Hey at least he knows who he is. Sounds like he might be fun to hang out with. Looks like him and I are BOTH lookin for a hearty meal! Loving the sound of the book and Father Dragon's drawings. Sadly Fargut and I have more in common than I like to think about.